CAPO BIANCO, GHIAIE, SANSONE & CO. The north coast of Elba from Portoferraio and continuing westward to the Enfola promontory is lined with beautiful beaches and coves with white or ivory coloured coarse sand or pebbles and crystal clear waters. Usually, they are backed by high cliffs of white aplite, the mineral that makes this part of the island so spectacular. Not surprisingly, it is much loved by photographers and video makers, who choose locations such as Capo Bianco and Sansone as sets for fashion and tourism shoots. 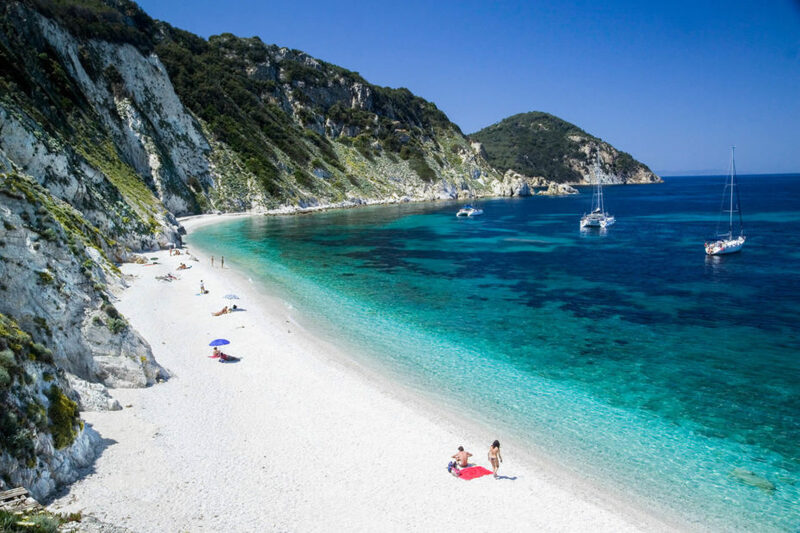 has included this in the list of the most beautiful beaches in Italy. The most striking feature, of course, is the white beach and the high cliffs behind. Even the seabed, in very clear waters, especially when the Sirocco blows, is white and is animated by the magic of the endless play of light reflecting off the waves. Nearby there is a large, free car park, which also serves the beach of Padulella. 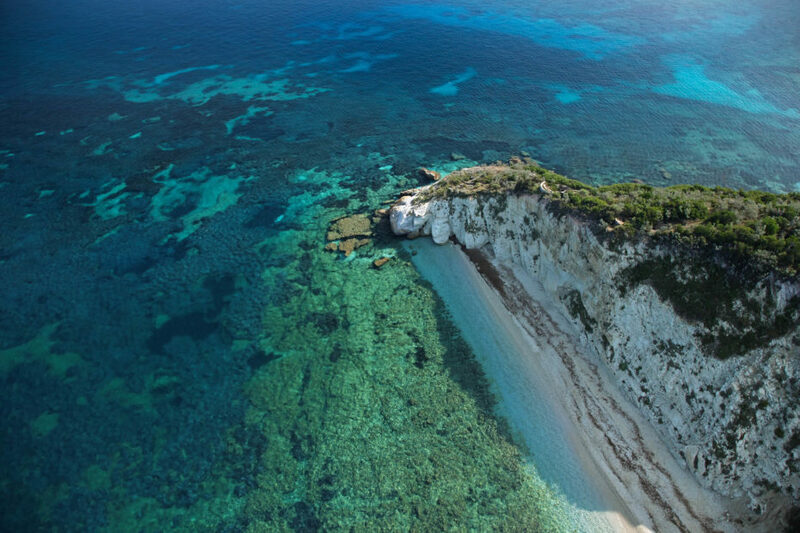 Capo Bianco, with its shallows and rocky outcrops, is the ideal place for snorkelling and observing the darting shoals of inquisitive fish, such as salps, saddled bream, colourful giudole and many others. Alternatively, you can admire the seabed on board one of the special boats with large portholes for observing underwater. Departure for a tour that will take you to visit some of the most beautiful and distinctive parts of the area is usually from Portoferraio. 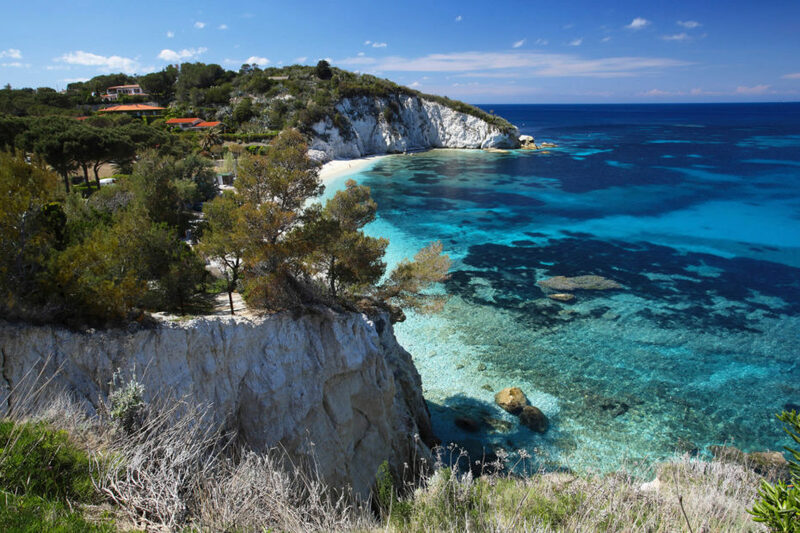 This lovely beach is very sheltered and is enclosed between two rocky headlands, near to Bianco Capo. Here, too, white is the main theme, with a pebble beach and water that is always clear and transparent, especially when the Sirocco wind is blowing. Easy to reach, there are also a number of facilities, such as surfing and sailing schools, and the atmosphere is quiet and relaxed. 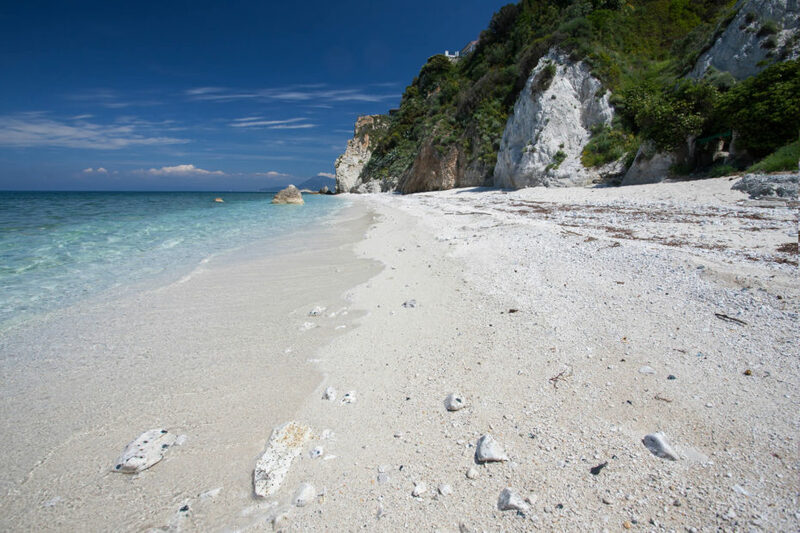 Very close to the old town of Portoferraio, the beach has mainly small, white pebbles speckled with grey. It extends in front of a public park with children’s play areas and picnic tables and the trees offering shade during the hottest hours of the day. The beach is equipped with beach establishments with all amenities and is therefore also ideal for those who have children. No shortage parking space, bars, restaurants, facilities for people with disabilities and a powerful lighting system, which illuminates the beach for evening swimming. Reached via a long flight of steps leading to a small, secluded, natural paradise, dominated by the sea; a beautiful beach of white pebbles and gravel and clear waters. Sottobomba, protected by high white cliffs, is as small as it is beautiful: we advise you to go there early to get the best seats and to bring everything you need with you because the beach no facilities. Ample parking space, payment in summer. Rental of beach umbrellas, deckchairs, boats and pedalos. Small bar. The white cliffs typical of this part of Elba, reach their maximum brightness here, making Sansone one of the most popular beaches for tourists and the islanders. Spectacularly framed by the high coast and reached via a scenic path, Sansone has a white pebble beach with many rocks and cliffs in the sea, attracting throngs of colourful fish as well as lovers of snorkelling, canoeing and kayaking. 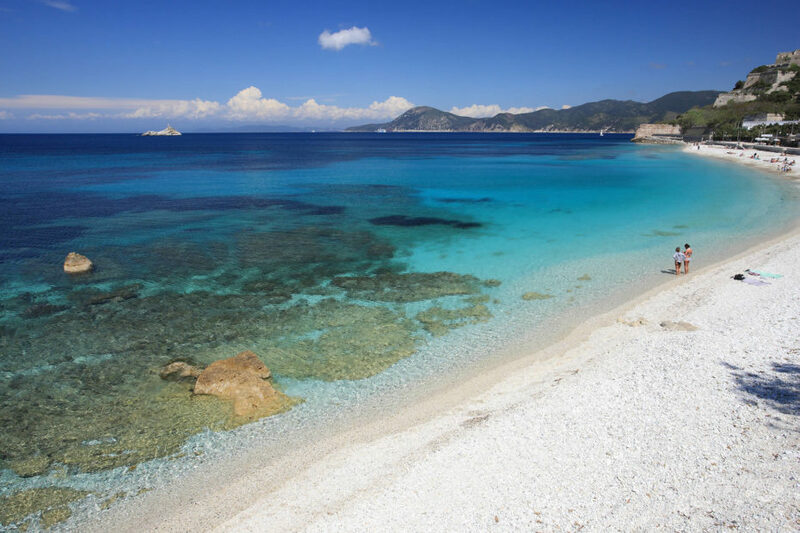 Adjacent to the small cove of La Sorgente, and with many facilities, Sansone one of the most beautiful beaches on Elba. If you love nature and adventure, we suggest the beach of Sansone. Equipped with ample parking and easy to reach along a spectacular trail overlooking the sea, it is a place full of opportunities for both relaxing as well as for sports and recreational activities. 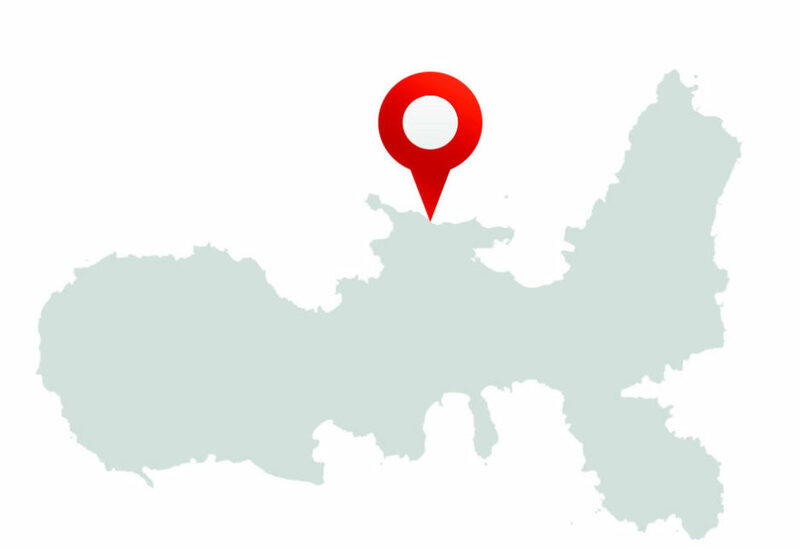 For dinner, try the wonderful seaside restaurant “Emanuel”, in the nearby Gulf of Enfola. Indicating the most beautiful white beach in the area is very difficult. You could try several, like Le Ghiaie, Capo Bianco, Padulella, Sottobomba and Sansone, some of which are equipped with deckchairs and sun lounger hire, and you could coast the cliffs in a pedal boat or canoe. We’re sure you’ll fall in love. The best beach for families is definitely Le Ghiaie. Close to Portoferraio, with ample parking, there are a number of beach establishments with facilities, bars and restaurants, as well as the possibility of renting pedalos and canoes. Simply paddle with a mask and snorkel to admire the wealth of colourful fish or join a tour on one of the special boats equipped with large portholes to peer underwater. 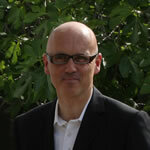 Maurizio, an observant and inquisitive traveller, is also a big fan of Elba, which he knows extremely well. He is the owner of the first boutique hotel on the island located in Capo Sant’Andrea, on the western side of the island.